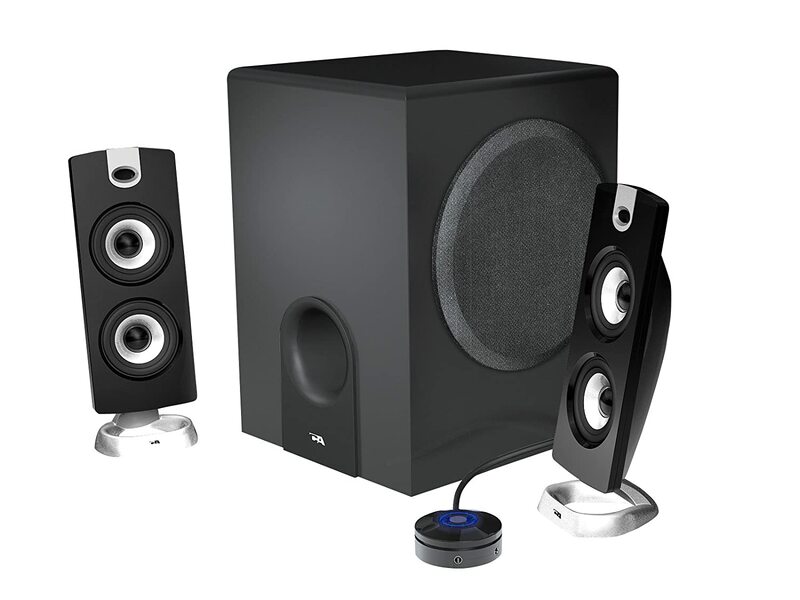 A speaker system to replace that of your aging PC or laptops. It a works with any device with a 3.5 mm (1/8) output. · Ideal for computers, iPod, MP3 and all portable audio devices. · Convenient desktop volume control, on/off control, bass control, headphone output jack, auxiliary input on control pod. I mainly brought these because I just brought a new monitor and didn’t realize that it had built in speakers. I’m glad I did purchase them because the ones built into the monitor leaves much to be wanted and that’s where this comes in to play. Overall I’m satisfied with they sound quality. I tested them using my iPod, Laptop, and nexus devices and they all seemed to work pretty well with it. I did notice that the mids were a bit shadows by the highs and lows but that can just be me being picky.